The plant and animal species listed below are all currently protected under the Protected Species Act 2003, the Fisheries Act 1972 and/or the Protection of Birds Act 1975. 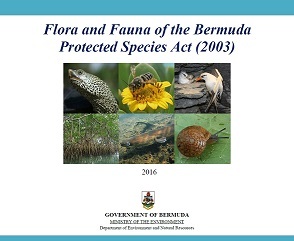 Species Recover Plans have been developed for several of Bermuda’s protected species. These plans outline the actions necessary to recover and protect a specific listed species. For further details about each species protected under the Protected Species Act (2003), click here to download a copy of our booklet.